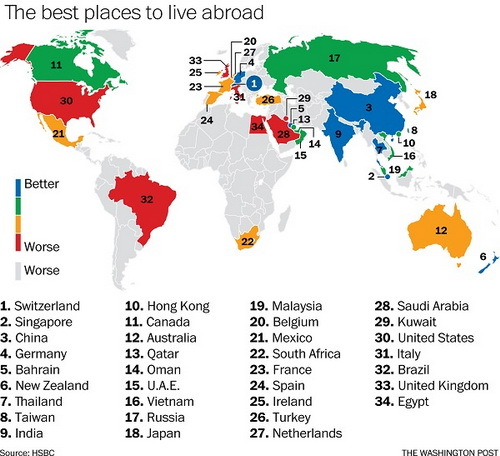 This year's iteration of HSBC's annual ranking of the best places to live as an expat, published 29 Oct 2014, ranked 34 countries on a host of indicators, such as salaries earned, the expat's quality of life and an expat family's ability to raise kids abroad. The full rankings are in this chart below. Switzerland tops the list overall, with Egypt coming last. The bank surveyed 9,288 expats in over 100 countries, but only presented findings for countries where there were more than 100 respondents. Switzerland topped the rankings, as it had done the year before. Switzerland's beautiful scenery and lack of air pollution is a plus, with vast majorities of expat parents there saying their children lived safer and better lives than in their previous home, according to HSBC's press release. Perhaps more interesting is the growing draw of Asia for the expats surveyed, with its booming economies presenting lands of opportunity for expats from all over the world. "Asia emerges from this year’s survey as the best region for financial wellbeing, with nearly one fifth (19%) of expats earning over USD200,000 p.a. and 65% saying they have more disposable income since relocating," says HSBC. The rankings look rather different when you separate the findings by category. Asian countries may account for terrific remuneration, but not necessarily the greatest living experience. You'll note China is not in the top 10 countries for raising children. Many expatriates, particularly those living in Beijing, the smog-clogged Chinese capital, fear the long-term effects of the country's air pollution on their kids. Put aside smog-clogged in Beijing, overall China is a great place for foreigners to live. The country has vast interesting places, cultures to explore and varieties of food delicacies for your to enjoy. Like Switzerland, China has many beautiful scenery for you to see and enjoy. Other than 1st-tier city like Beijing and Shanghai, the air pollution in other parts of China cities is relatively low. 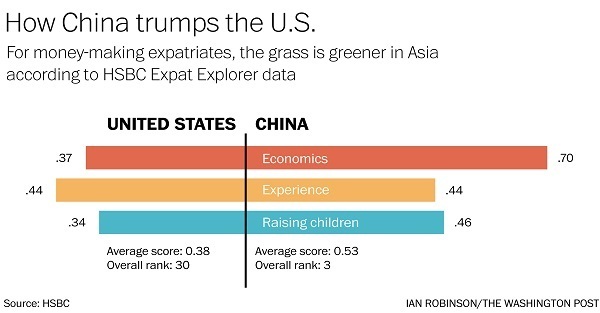 How China fares compared with the U.S. in the category of Economics, Experience and Raising Children? Please see below scores. While many Chinese are moving overseas, a growing number of foreigners are migrating to China. By the end of 2012, there were 630,000 immigrants in China, up 16 percent from 2010. In Beijing, more than 100,000 foreigners now live there, a tiny fraction of the city’s 20 million people. China now granting more residency permits to “foreign talents” – including academics, executives and scientists. China issued its first green card in 1986. According to the Ministry of Public Security, between 2012 and 2013, the number of green cards China issued increased by 83 percent. For its small, but growing number of immigrants, China is becoming not just a land of opportunity, but also home. 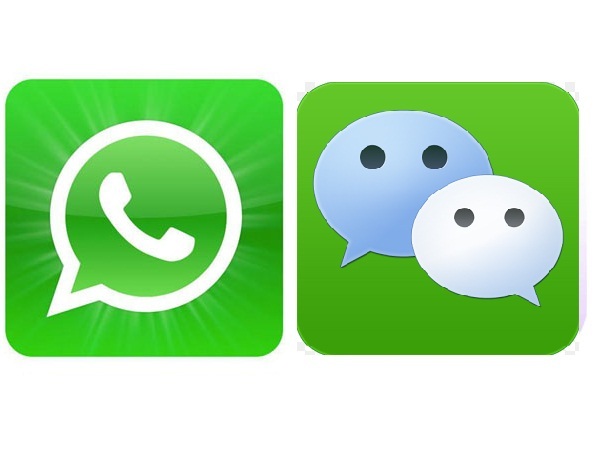 CCTV’s Grace Brown reported this story from Beijing.